For almost 100 years, Hayward has been committed to meeting, and exceeding, the needs of builders. Beyond full-service lumberyards, we offer window and door design centers, pro-oriented hardware stores, and innovative building solutions designed to save time and money. With locations spanning the California coast from Santa Barbara to Redwood City, a Hayward associate is never far away. Our professional, knowledgeable staff is always ready to provide support in choosing from among the best brands of products and the highest quality lumber, designing our proprietary Fast Floor floor joist system, manufacturing fully engineered roof truss systems, offering advice on the latest waterproofing or ventilation solutions, or scheduling deliveries that are always on-time, as promised. 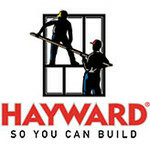 Hayward offers a full line of lumberyard products, hardware store products, and design center products. Hayward’s lumberyards stock framing lumber, timbers, panels, mouldings, decking, siding, and fascia for any building need. Hayward’s pro-oriented hardware stores stock fasteners, tools, waterproofing products, caulks, paints, stains, accessories, and more. Hayward’s design centers offer a huge selection of traditional and contemporary doors, windows, cabinets, and hardware. Hayward carries products from some of the most respected manufacturers in the building materials industry, all of whom offer quality products at reasonable prices. 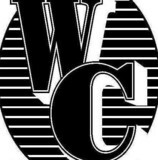 Whitlow Concrete Inc. is a company dedicated to producing the highest quality concrete work in the greater Santa Cruz area. Our experienced and talented employees have earned us a reputation for excellence and efficiency, taking on a wide array of jobs to meet all of our customers’ needs. 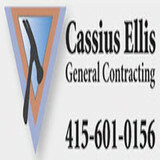 At Cassius Ellis General Contracting, I enjoy providing personal and detailed services to my valued clients. By listening to your wishes and needs, I am able to provide the high quality service you deserve. Quartz Decks & Pergolas San Jose is the most reliable deck builder around. Aside from your deck concerns, we are also dependable to manage your pergola requirements. Our team is knowledgeable and skilled to construct different types of decks and pergolas quickly. Our works are proven durable, so you can enjoy your outdoor space all year round. Experienced California Contractor serving the San Francisco Bay Area. We specialize in quality deck construction, beautiful landscapes and deck design and installation. Your house should look just the way you want it to, considering how much time you and your family spend there. Plus, with all of the entertaining and guests you invite through your doors, you want it to be more than just a house, but rather a home. You can count on Quartz Construction for a variety of jobs that you want to be done to your house. L.G. Towing San Jose - Dedicated to bringing out the excellence in towing and roadside services, we take pride to deliver highly calibrated efforts that will give a solution to all your emergency needs. A promising roadside service that will not just satisfy you, but also give you a peace of mind that your vehicle is taken good care by the professionals. Established in 1988, CLA Construction has been serving clients in the Tri-Valley area for more than 25 years. We are a contractor specializing in solving drainage problems in the winter and fall, and building beautiful decks, patio covers and retaining walls in the spring and summer. We are the experts in keeping water from getting under your home. We have all the specialized equipment for locating underground pipes, video inspection tools for seeing the problem areas, and auguring equipment for removing roots and clogs. We specialize in French drain systems, drain cleaning and sump pump installation & repairs. We also provide crawl space drainage & foundation repairs, vapor barriers and ventilation improvements. We are experienced in all phases of construction, including custom decks, patio covers, and retaining walls and repairs. We also offer drainage assessments and reports for potential home buyers. We pride ourselves on our earned reputation with our clients, the BBB and the Contractor's State Licensing Board. We are respectful of your home and landscaping and leave the site cleaner than when we started. Our goal is "Your complete satisfaction and referral". We stand behind our work and stay "on-time and on-budget". We can help with other projects while on-site, and offer 20% discounts on requested repairs. We also provide free advice for projects you may be doing yourself. With the contractor on-site and focusing on only one project at a time, we stay on-time and on-budget. Our goal is "Your complete satisfaction and referral". We stand behind our work and are confident you will be pleased with our workmanship! Since 1992, Ray's Steam Cleaning & Pressure Washing has offered unparalleled power washing services to San Jose, CA and surrounding areas. Ray's Steam Cleaning & Pressure Washing is here to cater to your commercial, industrial and residential power washing needs. We specialize in the de-icing of vaporizers for electronics companies and power wash homes that are ready for resale. Our machine operates at 30,000 PSI, and is ideal for cleaning decks, patios, and walk ways, fences, decks, garage floors, BBQ pits, and MORE! As a locally owned business, we pride ourselves in being an eco-conscious and avoid using hazardous chemicals. We have even implemented safety measures to prevent contamination of local water ways. If you're looking for competitively priced, top of the line power washing services look no further than Ray's Steam Cleaning & Pressure Washing. Call to schedule for your free demonstration, and estimate. Ask about our senior's discounts! When you’re looking for a quality awning or canopy paired with dependable service, there’s no need to look any further than Tom's Awning. Here at Tom's Awning, we specialize in custom designed banners and canopies. We can do it all! Serving both residential and commercial customers, we have become the favored awning and canopy provider for the Bay Area since 2005. We produce custom coverings for homes and businesses in San Jose, Redwood City, Santa Clara, Pleasanton, and beyond.